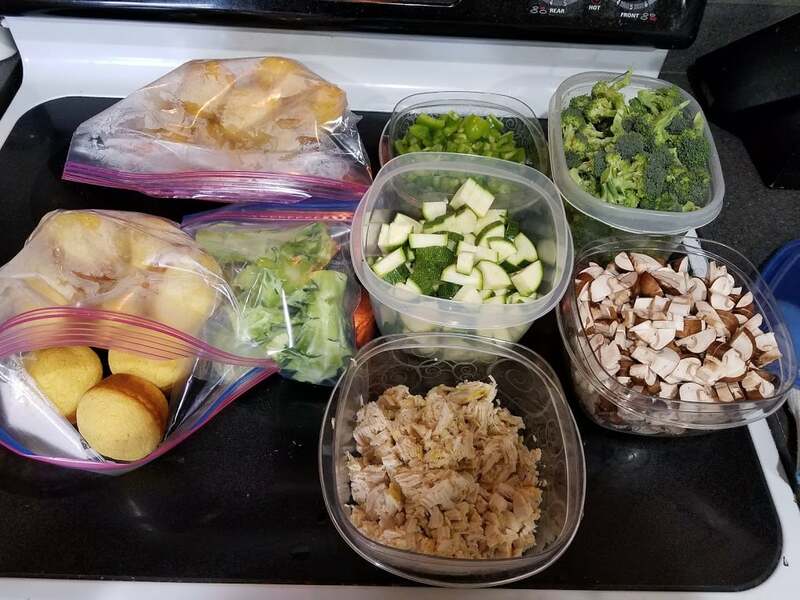 Ever wanted to look at real-life examples of meal prep sessions? Need something to fit your family’s needs? If you’ve liked my Facebook page (and if not, you should! 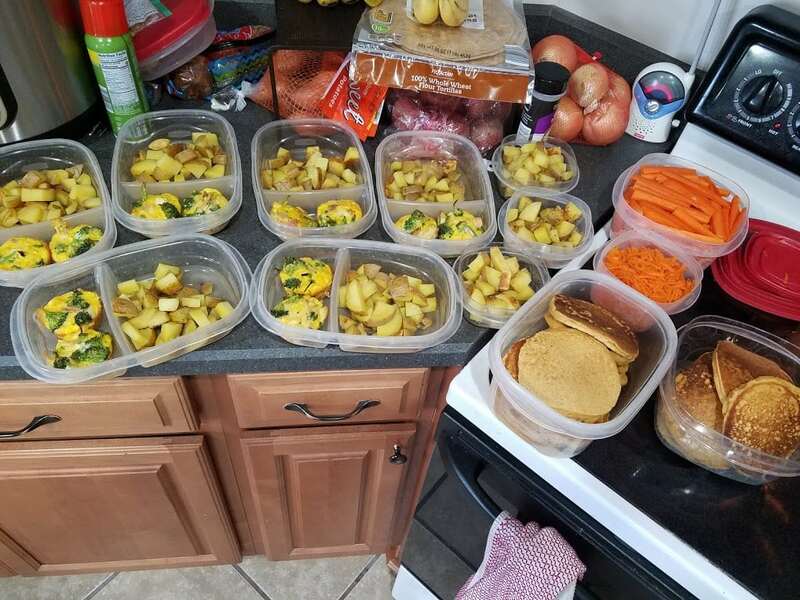 ), you’ve probably seen me post pictures of all of my Sunday meal prep sessions. 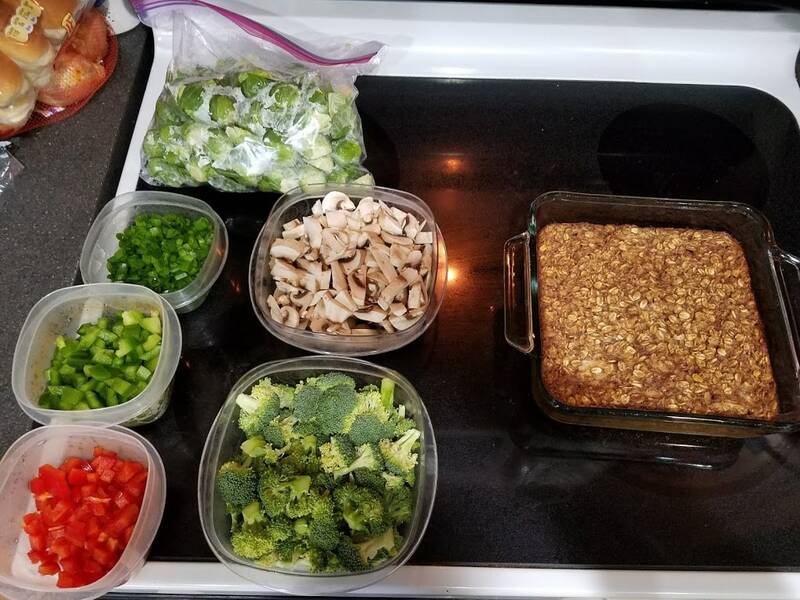 Every Sunday afternoon after church and lunch, I set Allison up with a movie and get to work in the kitchen preparing vegetables, breakfast, and whatever else I might need for the week. 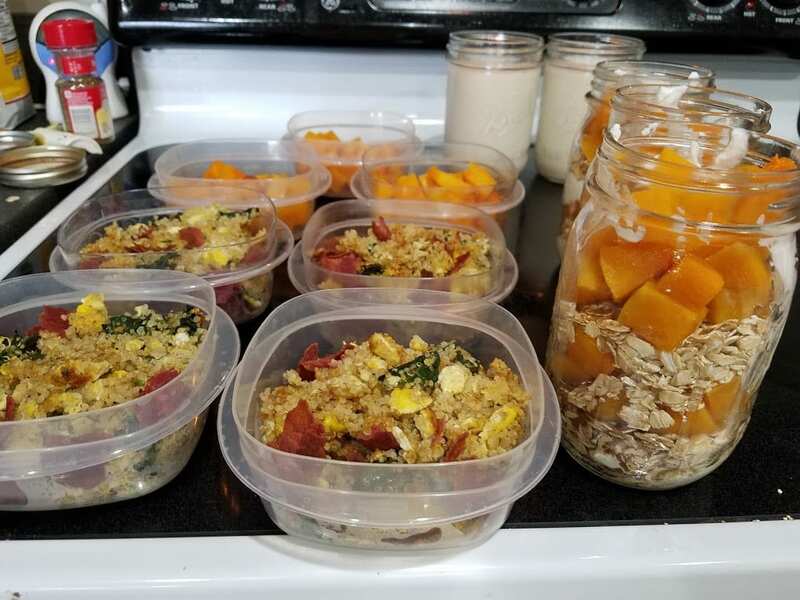 I credit these meal prep sessions for making dinnertime so less stressful! I can’t imagine trying to do a lot of this every night; dinner would take me an hour instead of 30 minutes, and who has time for that every night? But take about 90 minutes in the kitchen on Sundays, and you’ve created less stress and more saved time. And less kids grumbling in the kitchen while you slave over dinner every night. 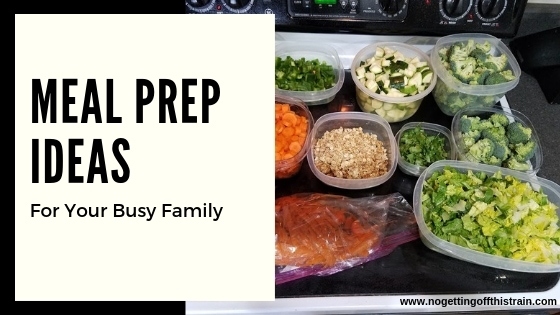 Are you convinced that you need meal prep in your life? 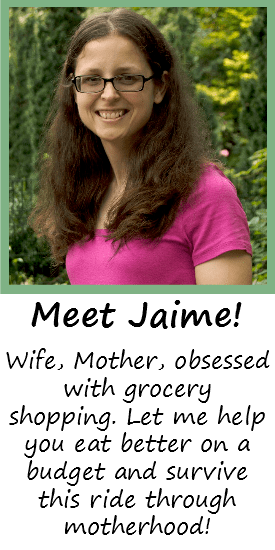 Would you like to see real life examples to inspire and motivate you? 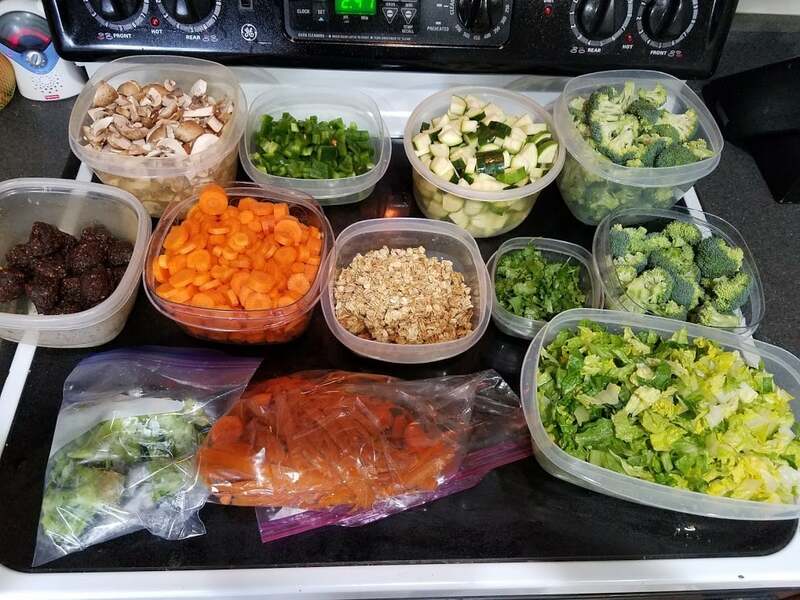 Included in this post are examples of my many meal prep sessions! 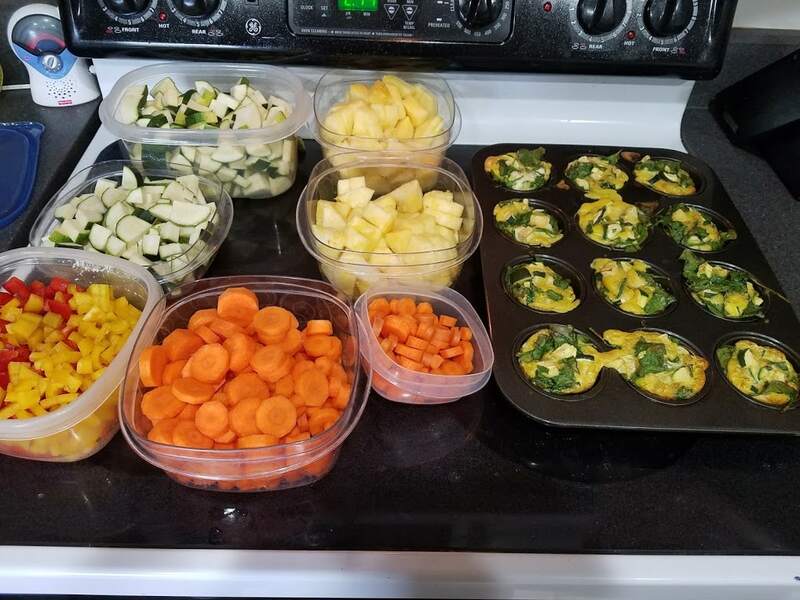 Each week is different- sometimes I make a bunch of different breakfasts, and sometimes all I do is chop vegetables. Meal prep is highly customize-able to your needs, and there’s no wrong way to do it! There are TONS of pictures, so be prepared to scroll! 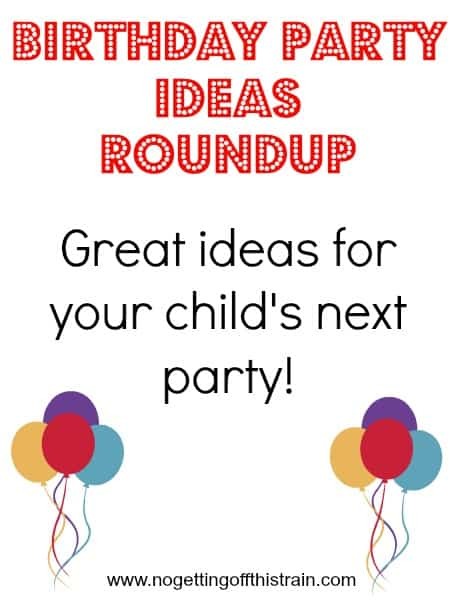 And below each picture are links to recipes, if applicable. But soak it all in and hopefully you’ll gain some inspiration to start your own meal prep sessions. As you can see, a lot of these sessions are just chopping vegetables. I use them in my breakfast egg scrambles, salads, baked goods, or as roasted sides for dinner! What’s your favorite way to meal prep? 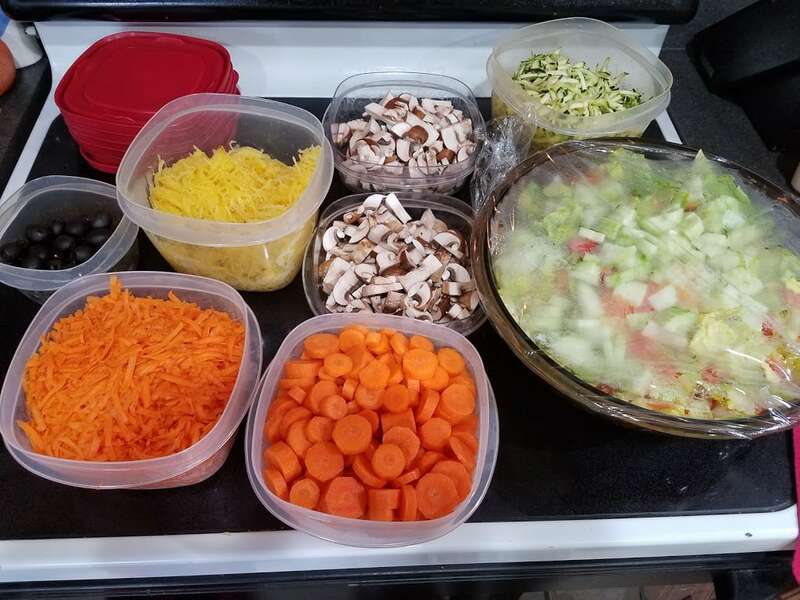 What questions do you have to help your meal prep go more smoothly? Post in the comments below! How do you shred your carrots? 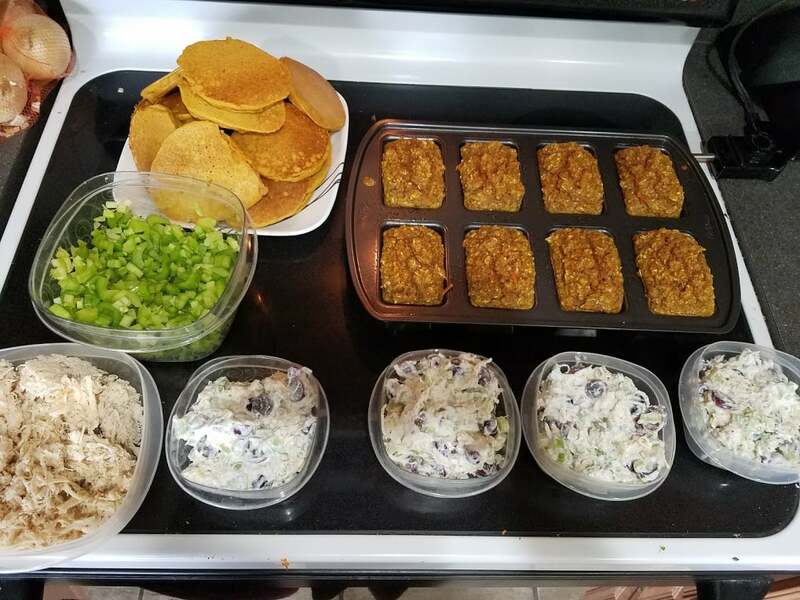 Also, I made energy bites my last meal prep session and my kids ate them up! Love having them in the freezer! I was using a standard cheese grater, but my sister got me one of these for Christmas (Aldi brand, though) and I’m never going back, lol. It’s so much faster. Awesome job on the energy bites!! Those are great snacks to have in the freezer.